What is ITR2 Form? | How to fill ITR - 2 Form? | How to file ITR - 2 Form? Income tax Department has categorized taxpayers on the basis of income, source of income and many other factors to ensure easy compliance. Taxpayers having incomes from different categories, thus, have to download and fill different Income Tax Return forms. For instance, the ITR-2 Form is for individuals and HUFs not carrying any profession or business. In this article, we cover the following. Who is eligible to file ITR 2 for AY 2018-19? Who cannot file ITR 2 for AY 2018-19? What is the Structure of ITR 2? How to file ITR 2? 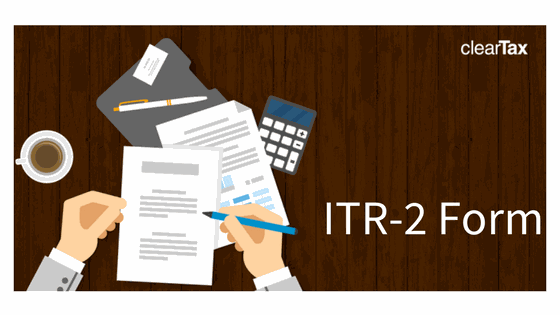 What is ITR 2 for AY 2016-17? 1. Who is eligible to file ITR 2 for AY 2018-19? 2. Who cannot file ITR 2 for AY 2018-19? 3. What is the Structure of ITR 2? 4. How to file ITR 2? You can submit your ITR-2 Form either online or offline. Individuals who are of the age of 80 years or more. Individual whose income is less than Rs 5 lakhs per year and who do not have to claim refund in the return. The Income Tax Department will issue you an acknowledgement at the time of submission of your physical paper return. If you submit your ITR-2 Form electronically under digital signature, the acknowledgement will be sent to your registered email id. You can also choose to download it manually from the income tax website. You are then required to sign it and send it to the Income Tax Department’s CPC office in Bangalore within 120 days of e-filing. Remember that ITR-2 is an annexure-less form i.e. you do not have to attach any documents when you send it. How do you send your ITR-V to the CPC Office? The field of “Profits and Gains from Business or Profession” which was earlier featuring under Part B – TI has now been removed. Similar to ITR -1, even in ITR-2, under the Schedule on TDS, there is an additional field for furnishing details of TDS as per Form 26QC for TDS made on rent. Also, provision for quoting of PAN of Tenant for such rent cases has also been made. The due date for filing the ITR-2 form for the Assessment Year 2018-19 has been extended from 31st July 2018 to 31st August 2018. New fields have been introduced in ITR Forms for disclosure of ‘Interest held in the assets of a Partnership firm or Association of persons as a partner or member. Such members/partners are also required to disclose name, address, PAN of the firm or AOP. Now, it is mandatory to mention the Aadhaar number in the return of income or Aadhaar Enrolment ID if applied for. New fields have been inserted in schedule ‘OS’ to declare unexplained credit or investment and dividend received from domestic companies above Rs 10 lakhs. Such persons cannot opt for ITR 1 Sahaj. 7. What is ITR 2 for AY 2016-17? The ITR-2 Form is the Income Tax Return form for Individuals and HUFs who do not have any income from Business or Profession. The due date for filing the ITR-2 form for the Financial Year 2015-16 is 5th Aug 2016. Not sure what ITR form to pick? Our software automatically picks it when you e-file. 8. Eligibility to file the ITR-2 Return for AY 2016-17? 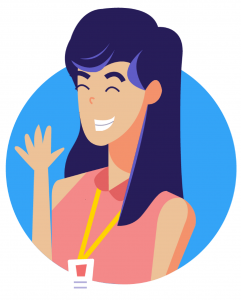 Not sure which ITR form you need to use? Read our guide for help. Made a profit from selling a house property or a large asset? Good news. The Income Tax Department allows tax relief under two sections when the capital gains are reinvested. Click here to read more. 9. structure of the ITR-2 Form? Schedule CG: Computation of income under Capital gains. Schedule OS: Computation of income under Income from other sources. Schedule SPI: Statement of income arising to spouse/ minor child/ son’s wife or any other person or association of persons to be included in the income of assessee in Schedules-HP, CG and OS. Schedule TDS1: Details of tax deducted at source on salary. Schedule TR: Details of taxes paid outside India. Schedule FA: Details of Foreign Assets. Schedule 5A: Statement of apportionment of income between spouses governed by Portuguese Civil Code. Do you need to pay tax if your only income is from selling shares? It’s a complicated question but the experts have a simple answer. Click here to read more on our blog. 10. How do I fill out my ITR-2 Form? All figures are to be rounded off to the nearest one rupee except figures for total income/loss and tax payable. Those are to be rounded off to the nearest multiple of ten. If you are an individual, under the Employer Category you should tick Government if you are a Central/State Government employee. You should tick PSU if you work in a public sector company of the Central/State Government. The ITR-2 Form can also not be used if you are claiming double taxation relief under Section 90/90A/91. Best sequence to fill it out? ClearTax automatically selects your ITR form. Upload your Form 16 and get started. No Form 16? No worries. We still select the right ITR form when you e-file with us. How do I file ITR-2 when I have sold a house? Yes you can. Read our guide to understand the process in depth. . I am supposed to file ITR-2 and not ITR-1 if my maximum exempted income exceeds Rs. 5000. I am confused – what qualifies as exempt income? Certain income is exempt under section 10 of the Income Tax Act. Exempt income includes – Allowances which may be exempt to a certain extent, for example, HRA, LTA, transport allowance etc. Gratuity, leave encashment, pension may be exempt under section 10 of the Act.